Michigan is one of the only real estate markets expected to grow in 2019. If you're ready to upgrade your salesperson license, here is everything you need to know. 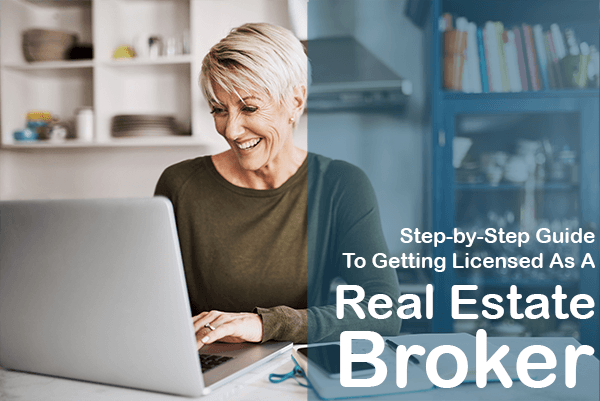 How do I get a Michigan real estate broker license? Complete 90 hours of approved real estate coursework within 36 months of application, unless licensed continuously. All potential brokers in Michigan must complete an approved 90 Hour course. Real Estate Training Institute offers this course online in HD video so you can fit it into your busy schedule. The onscreen instructor, Gwyn Besner is available to answer any questions you have while taking the course. Note: if you have been a practicing attorney for 5 or more years you only need to take 30hrs to become a licensed broker. Submit your real estate license application. Go to www.michigan.gov/icola to apply for a license. Upon accessing iCOLA, you will be asked to create an account, pay your license fee, and submit your license application electronically. Note: You must have at least 3 years’ full-time experience as a real estate salesperson, or equivalent experience before applying as a broker (Rule 205). Register with PSI and pay the $76 exam fee. To schedule your exam date, call PSI at 1-800-733-9267. Use the 24/7 Automated Registration System or speak with a representative between 7:30 A.M. to 8:00 P.M. ET. You will be informed immediately after the exam whether you passed or not. PSI will import your exam data into your iCOLA record within 48 hours of successful completion of the exam. Where is the Michigan real estate broker exam offered? What are the initial real estate licensing fees in Michigan? Who do I contact at the state level about getting a Michigan real estate license? Should You Get A Real Estate License? This entry was posted in Prelicense and tagged Broker, Michigan Broker. Bookmark the permalink.